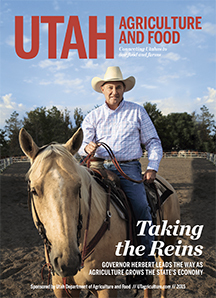 In 2014, the program teamed up with small business development centers and business resource centers around the state, as well as some private organizations, to help with tasks such as business planning and securing capital. The Utah’s Own program also offers cooperative marketing and advertising, and provides networking opportunities and referrals for members. 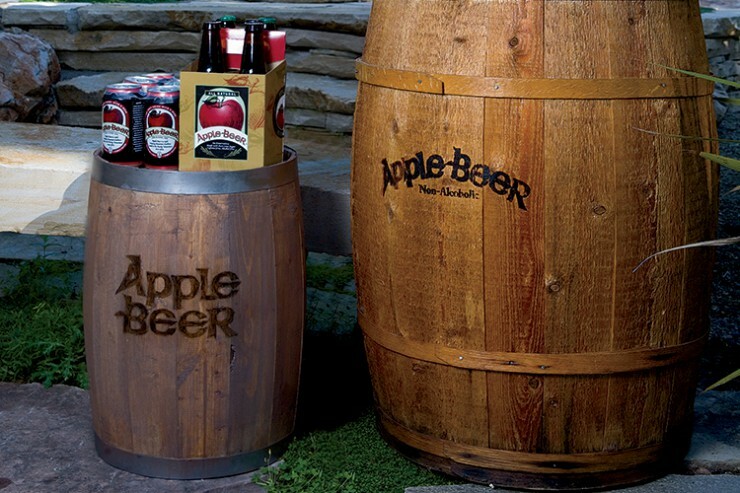 Apple Beer has been producing its own version of the German Fassbrause, or keg soda made with the flavor from apple peels, since 1964. Simmons says the company’s connections to the Utah’s Own program have also helped them secure distribution deals with large retailers. Creminelli Fine Meats in Salt Lake City is another Utah’s Own success story. The company began crafting artisan Italian-style meats in 2007, using all-natural ingredients, including pork that’s been raised and cured in Utah. Creminelli ships its prosciutto, salamis, mortadella, coppa and mocetta all over the country. Each year, the department hosts an event at the Utah State Fair called A Taste of Utah, for example. Utah’s Own companies are encouraged to bring their products for fairgoers to sample. Christenson says the 2014 event was visited by some 3,500 fairgoers with about 50 companies represented. The program has also partnered with grocery chains to host a Utah’s Own tasting and showcase event, during which buyers and category managers for all the stores in that chain are able to sample products and visit one-on-one with companies. Christenson says Utah’s Own companies aren’t the only beneficiaries of the program. he says consumers also reap the rewards. 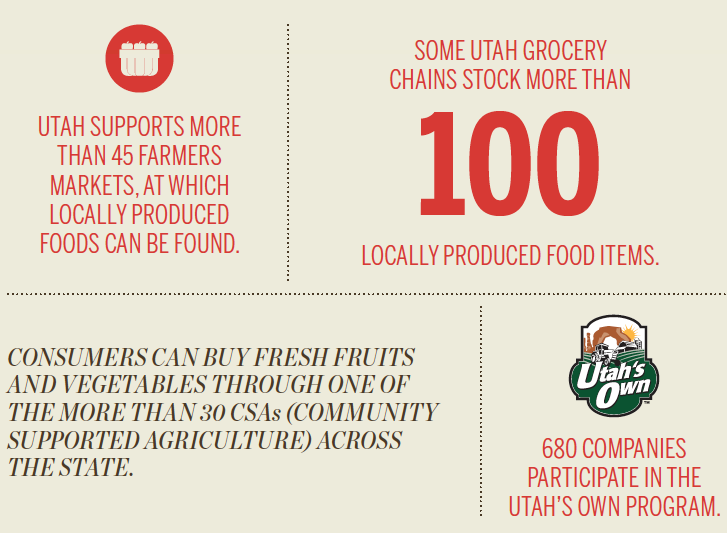 Christenson says another benefit for consumers is the high quality of food produced in Utah. he says the state’s dry, hot days and crisp, cool nights yield some of the best fruits and vegetables in the country. See what’s in season with this helpful produce calendar.